Like a great many retro gamers out there, we've been following developments surrounding the Polymega console closely for quite some time now. Originally announced as RetroBlox, this modular system is built on a single goal: to offer modern-day players access to the original, physical-media libraries of as many vintage machines as possible thanks to interchangeable (and upgradeable) modules which come with their own, authentic controller ports. The system had its first public showing at E3, and pre-orders recently went live. 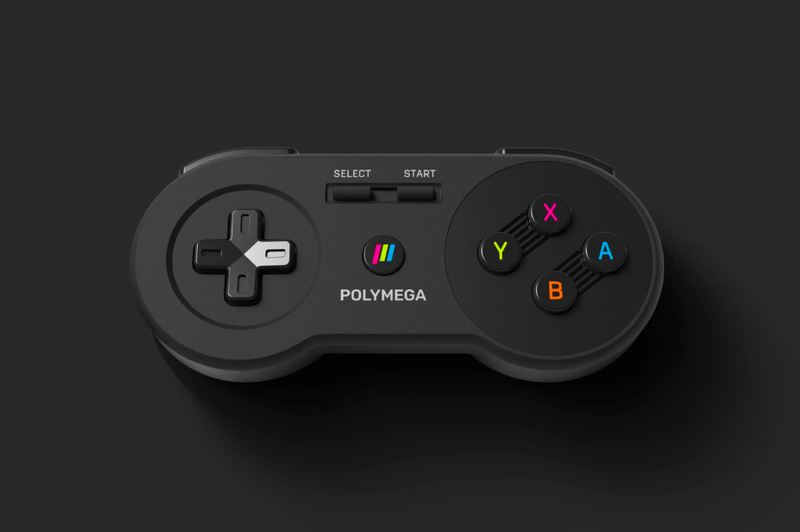 Well, kinda - the Polymega site immediately turned turtle and many people had to wait a few days before they could pledge their support (thankfully it's all working as planned at the time of writing). Then, there was the furore surrounding the use of arcade Sega Rally footage in the latest trailer, and many weren't pleased with the fact that FPGA support has been shifted out of the main console and into the modules themselves. 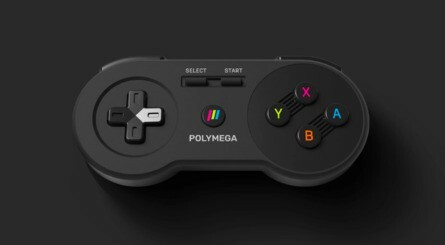 Keen to clear things up, Playmaji's Bryan Bernal sat down with us for an exclusive interview on all things Polymega. Nintendo Life: You've obviously been working on Polymega for a long time - how did it feel to finally launch the pre-order phase of the project? Bryan Bernal: Though we had some difficulties launching the site, it feels great. We've been working on the project for quite a while so it's nice to get on with it and move into production. 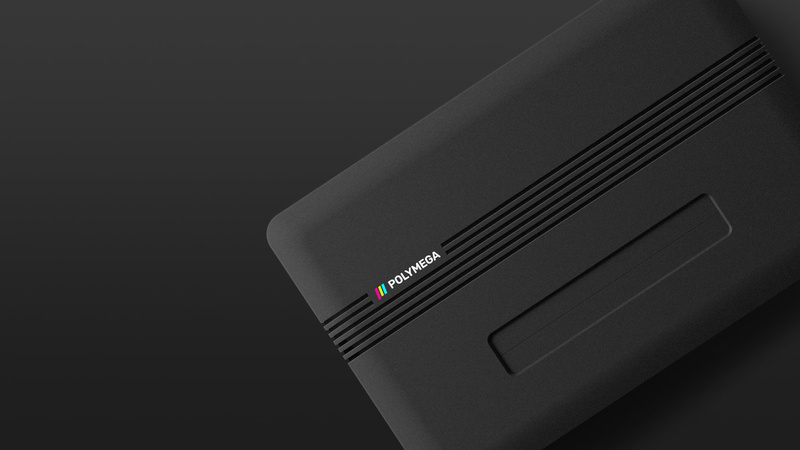 The Polymega site was down almost from the moment the pre-orders went live, which led to some disappointed customers. Could you explain what caused the outage? We're not entirely through with the forensic analysis of what happened, but it was a combination of a bunch of excited people, a handful of malicious users, and a lot of F5-ing that brought the site down. We knew the console was going to be fairly popular, and the site passed load impact simulations prior to the launch. But, that aside, weren't expecting the kind of traffic we received, which was around 400k hits to the site in the first day. Ultimately we ended up moving to a different dedicated host and making a few tweaks that helped with the performance under high loads, and it seems to be holding up pretty well now, despite some new email delivery issues caused by the change in hosts. Saturn support - which wasn't revealed until very recently - is quite a boon for potential Polymega owners. How have you been able to secure an acceptable level of performance from this notoriously difficult-to-emulate system? Saturn runs great on the new Intel-based chip. Some people have questioned the performance of Saturn but I can tell you with certainty it runs at full speed on the games we've tested, as seen in the videos we've released. One of the reasons we're able to achieve these speeds is that our Linux-based system software and UI is coded efficiently in low-level languages like C, and doesn't suffer from the same overhead that operating systems like Android, Windows, and even Linux-based desktop environments like Ubuntu have - and this is despite looking as good, if not better, than applications built for those environments. For example, you might need a quad-core 3.8GHz chip to run Saturn on Windows, where our system runs it at 3.2Ghz on a dual-core chip. There's still a lot of testing work to do as the library is huge, especially the Japanese releases, but the emulator author and our team are actively optimizing to ensure it's running at full speed, regardless of the game. While we're on the topic of the Saturn, a few people picked up on the fact that the footage shown of Sega Rally isn't from the Saturn version. Could you explain what happened there? Human error, and definitely one on the part of our team. Someone that was editing the final cuts used old footage from a shared team drive that was captured for a previously recorded internal video about 2 years ago, and since everyone was so busy preparing other aspects of the release of the pre-order, it flew under the radar. It just goes to show that you can't get anything by the retro games community, and it's impressive how quickly the discrepancy was identified. Hopefully the follow-up videos we posted to address the question of whether Saturn works, although I know some people are still hungry for more videos of games being inserted into the modules, which we're working on. You've made some spec changes to the system, pulling FPGA out of the base unit and instead using it in the modules. What's the reasoning behind this move? 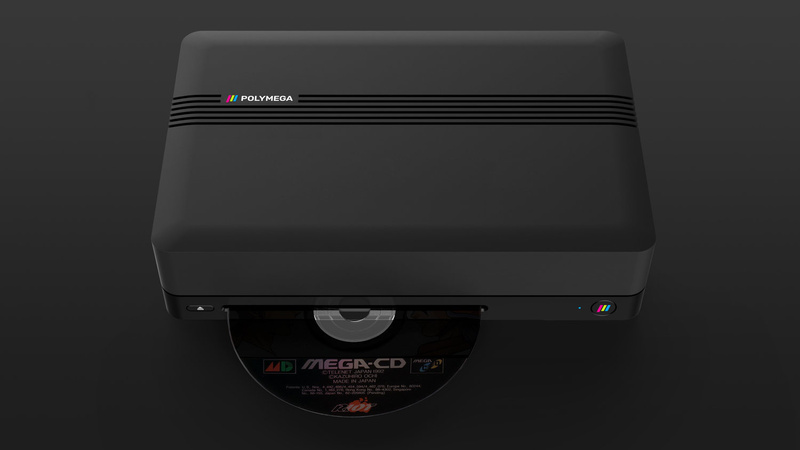 This is a question a lot of people have been asking, and the answer is that we removed the FPGA because active cartridge reading tech isn't ready to be released yet for Polymega, and we didn't want to delay the console further. There's no point in charging people for FPGA in the base unit if it isn't going to work with all systems we support, so we made a decision to focus on easier-to-solve problems that give people something else they had been asking for - more system support for consoles like Saturn. 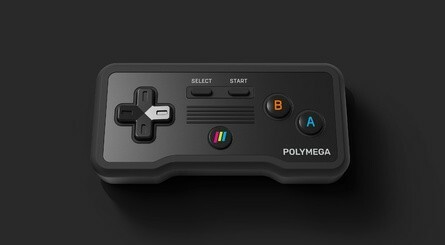 If we didn't make that extremely difficult decision, Polymega might not release at all. Some of the initial modules won't be FPGA-based - isn't this like short-changing buyers? Why would anyone buy the launch modules if they know FPGA editions are coming? For FPGA modules, we've only really announced a Famicom one if the goal is hit. 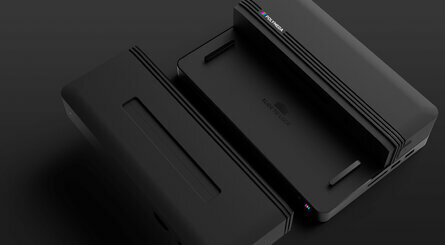 We did say that a SNES module would warrant development later, but it's not something we're focused on at the moment. The online digital store is a truly mouth-watering prospect, especially as Nintendo appears to have shelved its Virtual Console service on Switch. Which companies have signed up so far, and can we expect to see a storefront packed with retro games a few months after launch? We have one very large publishing deal in the works right now which will take the lead for the store. This company actually found us on the show floor at E3 - we didn't have any contact with them previously - and played the system extensively both during the show and a few weeks later at their offices with their staff. 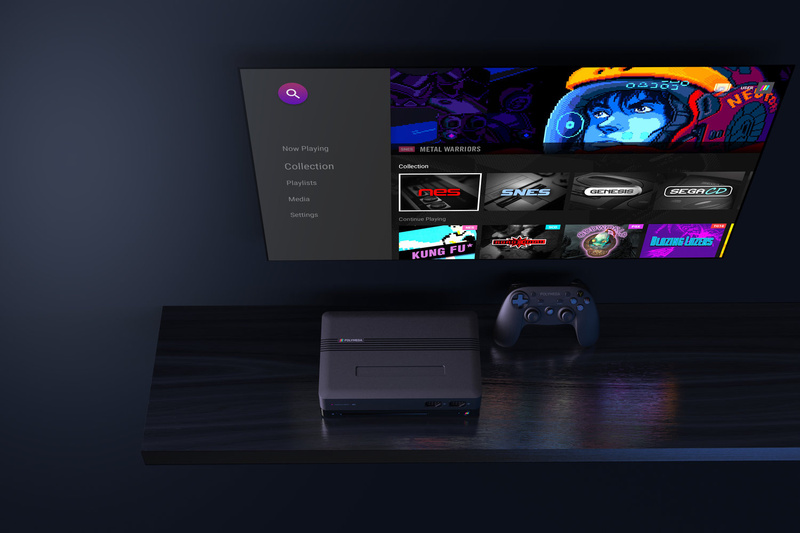 For them, Polymega is a very natural fit for their game portfolio. Obviously, we're bursting with excitement about it, but we can't make any announcements until the contracts are final, especially given the size of their company. That said, I honestly couldn't imagine a better and more legitimate company to start off with, and I think people are going to be rather surprised with who it is. The store aspect of the console is anticipated to launch during holiday 2019. Many have complained about the fact that flash carts won't be compatible with Polymega. 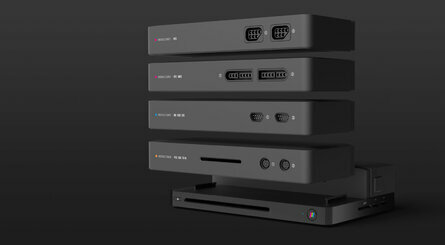 Is there any chance you'll be moving on this stance, or does the way in which Polymega works simply not allow for flash and multi-carts? They won't work unless it's on one of the future FPGA-based modules. It's not because we hate flash carts or anything; they're great for development purposes and have other uses, but the way they work from a technical perspective is not compatible with the way carts interact with the system at launch. 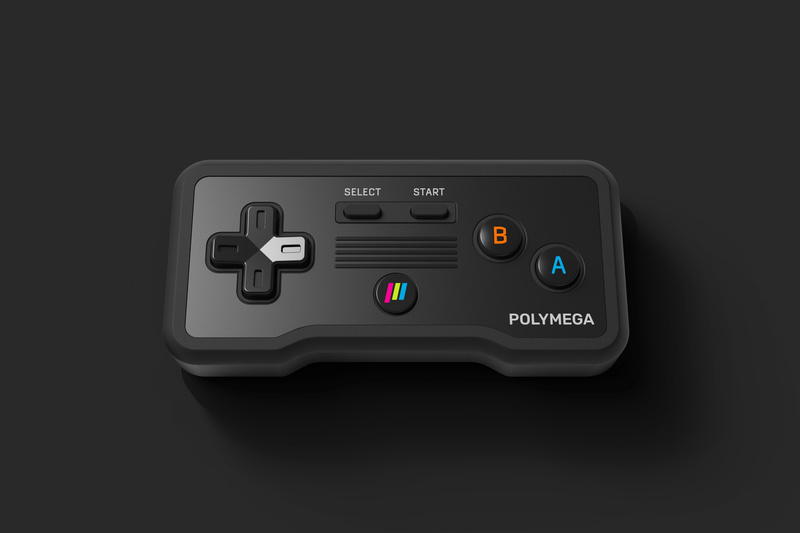 You've mentioned that third-parties are welcome to create Polymega modules, under licence. How will you ensure that these modules don't impact the performance of the base unit or even damage it if you're not in control of manufacture? Working under license means conforming to technical rules and guidelines, so it would need to be tested and approved by us prior to the launch of such a module. We'll have more news on this later once Polymega is out, since that's priority number one. What's the response been like to the pre-order campaign, and how are funds looking right now? The response has been amazing. We've sold around 1,000 base units so far directly to customers and the average purchase is around $400-450. In total from direct-to-customer pre-orders, we're closing in on $500k in preorders, which is more than enough to finish and release the system. Additionally, we've also begun receiving wholesale orders from distributors around the world, typically in the range of 300-1000 units (not reflected in the rewards totals on the website). If we included those in the preorder total, we'd be well past the goal, somewhere around $1.25-1.5M USD. One insight we've seen is that there has been very significant interest in the system in Japan, we think due to the recently announced Saturn support as well as the design and space-saving utility Polymega provides gamers that live in smaller spaces. We've seen a lot of sceptical posts online since pre-orders opened. What would you say to those individuals who still doubt you can pull this off? A healthy bit of scepticism is no problem, and in retrospect, there are things we definitely could have done better - especially with regard to the pre-order site launch and our communications to the public. One thing that may not be apparent from all the marketing glitz is that there is a small team of real people who have poured thousands of tireless hours into this project at great personal sacrifice, born purely out of love for classic games and wanting to help make something cool for everyone who shares that passion. When you've dedicated your life to building something you believe passionately about, no amount of dissuasion could ever make us question doing what we believe in. Even if we set out with lofty goals and failed to hit some of them in the near term, it doesn't remove the fact that there's a staggering amount of high-quality work that has occurred on this project. We wrote our own emulation API and UI code from the ground up. We've built or legitimately licensed several emulation cores and designed a beautiful machine that will improve many peoples living situations and help classic games live on into the future. We've designed new cartridge connectors with our partners so people don't have to worry about damaging their games when inserting and removing them. We've breathed new life into a classic game system that was deemed unplayable by many by reducing its load times drastically, the Neo Geo CD. We've accomplished a totally unsung task of mechanically engineering a modular game console, an unbelievably difficult problem to solve in and of itself - much more so than your average game console that only has to account for one set of hardware. We've created a database of thousands of games with custom artwork and game information so you can discover new games you maybe didn't know about before and have a nice, modern experience in your living room. 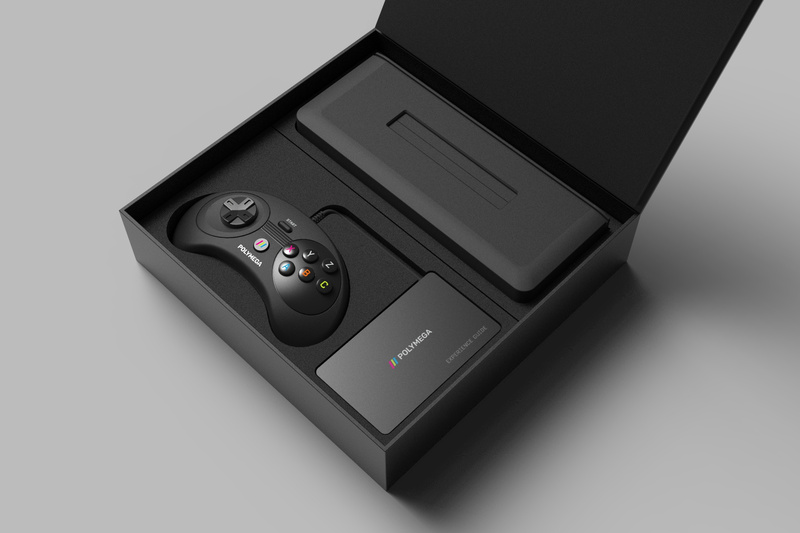 We've got ultra-low latency controller input so that when you play, it feels like you're playing on the original game console. We've created controller, motherboard and module PCBs for nearly everything on offer and we've made all of these things work in concert in an incredibly cohesive way. The list goes on and on, and when you look at the efforts that have gone into this project as a whole, I think there's a lot to be proud of. We're also certain that anyone who had real hands-on time with the system at E3 or otherwise would agree that something like what we've built doesn't just happen without that effort, be it software, hardware, engineering, or design, regardless of the discipline. We still have a lot of work to do to win back people's trust after some marketing gaffes, but we are resolute in making sure that it doesn't happen again, and that we're going to deliver far beyond expectations next year and make a lot of people very happy. We'd like to thank Bryan for his time. Polymega is currently available for pre-order and is expected to launch early in 2019. "I know some people are still hungry for more videos of games being inserted into the modules, which we're working on." It would take me a few mins to record myself putting a cart into a system and showing it. My phone is capable of this. Things like this, pretty much only concept pics available and the whole Saturn footage debacle makes me think of the whole thing being shady. Just hope it actually ends up being what it's claimed to be and people don't get burned. I think emulators and emulation lose something altho it's nice and easy for our busy 21st century lives it is agood idea but, nothing beats the retro experience of plugging in the original console and booting up sega rally for real. @subpopz I thought your quote was a joke. Nope - it is right there - he said those words. I will keep an eye on this but I would never pre-order with so little known. Besides, I own a multi-region Saturn and many other consoles along with a OSSC. The one console I don't have but want is a PC Engine. A few months ago I spent over $200 for a Sega Saturn and Albert Odyssey. Was worth it. My problem is my Saturn feels delicate. I'll be more than happy to buy a Polymega just to play Albert Odyssey and not worry. My reason to buy one. I’m still not won over by any modern retro hardware box. FPGA looks the way to go but nothing that’s been released looks better than just keeping original classic hardware running. Of course I still use the old picture tube. I appreciate this interview and a few of your tougher questions. I am not too skeptical of the Saturn emulation but it is odd they are only showing capture footage. I was one of the diehard followers that jumped ship when they made all the sweeping changes last minute. I'm still interested in the base unit but not the modules. When you have good fpga consoles already out there and more on the way ( Analogue must be making a Mega Drive...) I'll opt for other options. I agree they have put a lot of time and effort into this and I appreciate that. The system, controllers, and UI are attractive as is the modular idea. It's just too bad how they handled the info dump, launch, and their subsequent passive insulting of people that just want the quality that was promised for years. Anywho I'll wait for reviews before buying but I hope it does well enough to reintroduce that tech they originally promised and maybe draw back the people this was originally intended for. @NinChocolate I'm about to mod my Duo R for s-video and combine that with the Turbo Everdrive and Retrotink for lag free gaming on my HD TV. It was my solution after Polymega changed things up. 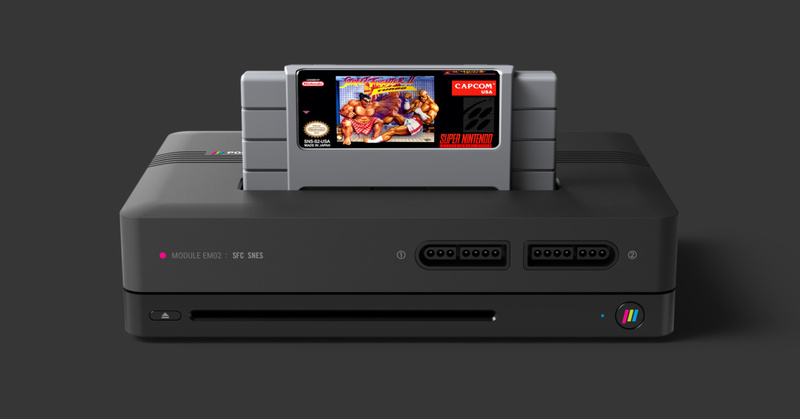 This console is shaping up to be the ultimate retro system. Now the choice is: Mini Classic consoles with preinstalled games, or an all-in-one system that needs software to be inserted in it? 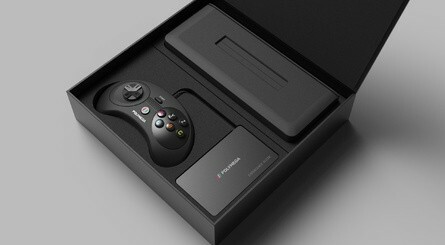 @NinChocolate I want one, but I just can't justify buying the games. I've already got a Master System, Mega Drive, Saturn, Dreamcast, NES, SNES, N64, GameCube, Wii, Wii U, 3DS, Switch, PS2, PS3, PSP, Vita, Xbox One S, Lynx, NGPC and gaming PC.... I think my wife might leave me if I buy another console! @BionicDodo I hear it. Classic gaming can run up quite the bill. When you do finally get it, it’ll be a great day, even among all those consoles! As a big retro gamer (I keep a JP Saturn and JP MD/MCD hooked up to my Framemeister) I've been watching the Polymega develop. There are still some big unanswered questions though, such as how do you control Saturn games? There's no Saturn controller port on either the base unit or any of the modules, and using the supplied dual shock clone just isn't going to cut it. The Saturn needs 6 face buttons. Nothing else is going to be acceptable. Will it work with bluetooth pads? Such as those from 8BitDo, or the upcoming SEGA pads from Retrobit? The Saturn is notoriously difficult to emulate, and there is no Sat emulator with anything like 100% compatibility. We need to see the compatibility list, and long before launch. If it's just missing a few visual novels then fine, but if the likes of Radiant Silvergun, Battle Garegga, Hyper Duel, Panzer Dragoon Azel, and Street Fighter Zero 3 aren't indistinguishable from real hardware, people are not going to be happy. They also need to show some other systems up and running. Show the MD and the SNES, including games with difficult to emulate sound tracks and sound effects. Let's see some Thunderforce IV, Yoshi's Island, and Alien Soldier up and running. Not to be so down on it, I think it's an interesting idea, but their pricing is so high they need to deliver an AAA grade product. 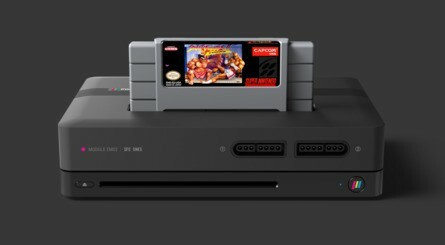 I really wonder how big this market is for a premium retro console that require original games to play. The console is so overpriced it costs the same as modern consoles. The best games on each systems are expensive since they are rare. That saturn section gives me a lot of pause for concern here. Programming language and operating system are two vastly different things. First of all with OS I'm pretty sure the core of linux(probably windows as well) is written in C or C++(probably c++ at this point). While windows does have a good bit of overhead Linux, and by extension Android not so much. The core linux kernel is very small and very lightweight, and when doing a custom build you decide what drivers and things you need. Android is just a custom fork of linux with generally more mobile features than a typical linux build. Then he says "low-level languages like C" C is still a high level language, though it is about the end of what we consider a high level language. Low level language is assembly and binary. Then I have to wonder why C and not C++, C has been totally replaced by C++, a C++ compiler is a C compiler with more features. The C++ compiler is highly optimized and is incredible with what it can do to code in terms of efficiency, unless you are at the the absolute peak of programming research there's not much you can do to beat a C++ compiler. As many of the gurus of C++ will tell you, "a lot of very smart people made the c++ compiler, smarter than you, don't try to outsmart the compiler." It's also a concern he says "low-level languages" plural. Programs are written in one language. You can have scripts added to the program that are written in another language, however you have to include a full interpreter when doing that and that sort of goes against the whole efficiency argument. Why not say "the core OS is written in X". Why say languages? To me that whole section just sounded like he was making things up. @Yorumi "To me that whole section just sounded like he was making things up." Thanks for putting into words what was floating around in my early morning head. I was a Saturn 'fan' when it was a current console (well, I made my choice after the Megadrive and... it was then the only console I could afford at the time). I have a couple, including a modded multi region model, so this probably isn't for me. People are also correct about the rareness of 'real' games, if you are a collector of Saturn games you probably already have a way to play them, for a retro console it has a pretty good output through SCART. Like with any new gaming product, I'll wait until its out to make a judgement overall, see how it works in practice. This system is both offering too much to take it at face value, and yet missing things I would want from a device like this. I want N64, Game Boy and Game Boy Advance support. But the biggest issue I see happening here is licensing. Do they have permission to support all these platforms? I feel like they could get stuck in legal limbo if any of these companies, Sony, Nintendo, Sega and the rest decide to sue. @NinChocolate Haha, I love that you said 'when', as you're right - it will happen and the wife won't leave me over it. I think. So, I must be missing something here. I get it's newer hardware, I get it's more compact etc. But surely a serious retro collector - particularly one who can afford to play these retro games on original carts will want original hardware too? I suppose there may be those that would prefer to keep their hardware on display elsewhere or not tangle with a tonne of wires, but still it seems a bit odd. @Jop I'll admit I don't have a whole lot of experience with android. I was figuring since it was just a fork of linux it wouldn't be so bad. @Medic_alert A lot of the appeal comes from the cd drive. The systems it emulates are quite expensive actually. Playstation not so bad but sega-cd, turbo-cd and neo-cd are not cheap. Plus they claim you can copy an image of the games which handles the problem of disc rot. On the cart systems that image functionality is nice for games with backup batteries because then you don't have to change the batteries. The FPGA was also a big part of the appeal as that should produce better emulation overall. But of course that's out now. People are getting skeptical of it though and it's looking more like a scam all the time. I want this to be legit as having 10 systems hooked up is not realistic so this would simplify everything and make it better for usage on a HDTV. I'm tempted to get it but I know I need to wait until post release to see if it works well. In this day and age of digital cameras and ability to upload footage they could easily prove it works like they claim. The fact they have uploaded fake footage and refuse to actually prove anything at this stage is a farce. You can't please anyone. This thing doesn't come out for what, 6 months? They have plenty of time to release videos of all available features. People saying they can take a video on their cell phone and upload it are being ridiculous. You know another group of people would then bash that footage saying "oh they can't afford professional footage?! This is a scam!" Just sit tight and don't pre-order until you know all the facts. Simple as that. Oye! $450 preorder for an iffy setup... or just go and purchase a NES/SNES Classic (for 1/8 the cost) and mod it in about 10 mins. ...It may not have the proposed variety in games, but it definitely works, looks good, and won’t run off with your cash. @Yorumi It's fun what happens when you get a PR guy to talk about internal designs he has zero idea what all the words mean, isn't it? @NEStalgia sure is. I'm still keeping an eye on it because like I said if it's really emulating those cd systems like that then that's good. I just need to see an actual unit and I need to see some of the experts test the quality of the emulation against real hardware. If it's not highly accurate then there's no point. @Yorumi android runs everything through a java virtual machine ( ok, not officially java, just a copy, but still a virtual machine). That's always less efficient than running on the metal. @Sabroni yep definitely less efficient. I didn't know it did that but like I say not a lot of experience with it. I haven't pre-ordered but I hope this is good. Would love to dig out my Saturn games. Wonder what the corporate partnerships is!! @Yorumi of course it could just be that he's a mouthpiece for the company and doesn't really delve into the programming aspect of things. Nothing he said is fundamentally wrong but I agree its a bit cloudy. I'll be honest I really want this to be the real deal and I'm very much considering just getting the disc unit for now, specifically for Saturn and Mega CD and perhaps a few Playstation games I never got around to playing. My concern is the lack of fpga tech in the initial modules, I dont get why they are going to do 2 versions. I'll certainly be waiting for reviews before I stump up the cash. The Saturn footage issue really seems a bit strange to me, why did they even have arcade version footage in the first place? I'm a little sceptical at this point in time if i'm honest. @Morph yeah that's the way I am, skeptical. I want the disc system most of all since you can't buy all those for the price they're asking. I'd be plenty happy if all the concerns turn out to be unfounded, it's just they're messing up an awful lot and they've still never shown real units which is odd. Here's the problem they promised one thing that many thought couldn't be done and then proved those people right by scrapping the FPGA and aren't going to make it unless they reach a goal(plus it's only for the famicom) which is funny because they said they didn't need to do crowdfunding and at the time made it seem like a positive but now I feel like the only reason they didn't go kickstarter is because they wouldn't have been able to come up with a prototype. Also the whole programming languages and chip specs sounds like smooth talk. Even though the saturn was complex for it's time being a 2d console powerful enough to render 3d, one big reason the saturn emulation is so bad is because it just wasn't a popular console being a commercial failure and doesn't get the support in the emulation community that other consoles do. So when they just announce they're adding Sega Saturn support and have a great in house emulator it raises red flags especially when the first footage they provide us with is arcade footage. I’ll stick to FPGA I think.The super nt I have is amazing and is basically a modern snes. Even better is that kevtris is now working on a mega drive board, cannot wait for that. @Deanster101 has the Kevtris Mega Drive been confirmed? If so that's awesome. I've been waiting for news on that. I probably get this for the Saturn and PS1 support, all the NES and SNES FPGA stuff I need I already have with AVS and Super Analog Nt already. Now if only they support N64 and Dreamcast then I'm set. build yourself a slick pc system for underneath your tv, and download one specific emulator that runs all, wich have auto updates. whats the fuss about this iver expensive non practical system. oh you want to play with original gamepads? well there are usb docks with multiple ports available too. @Medic_alert I have a Saturn and Albert Odyssey and Panzer Dragoon Saga but the system is 20 years old. I'm worried it won't last for many more playthroughs. I was seriously considering a $1000 sd card type Saturn to keep playing but this seems like a nice alternative. But I need to see the games i want running perfectly first. @retro_player_22 Saturn is pretty much the only reason I'm interested. @Uncensored first, cool that the Saturn was worth it to you with Albert Odyssey. I got that game for my birthday in 1997. Not to make you panic, but I think it's good to find another way to play Saturn. I've not had much luck with the hardware. My original Saturn was trouble early on and it had to go back to Sega for warranty work twice in 1995. It worked fine after that, but no longer works for some reason. I purchased another Saturn a few years ago and it worked perfectly for a bit, but has since decided to give problems as well. It seems to have issues with the power supply as it sometimes fails to power up and sometimes loses power or resets. I'm done buying Saturns. 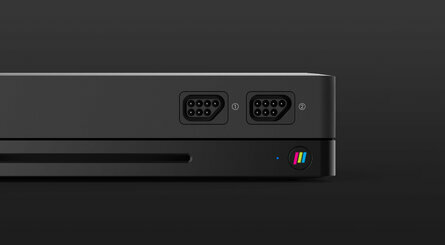 If this Polymega turns out to be good, it will make a good replacement Saturn for people. I don't care much about the whole FPGA thing and don't think that will be feasible for Saturn any time soon considering that SNES and Genesis cores were not even close to ready a few years ago. People talk about Saturn emulation being difficult, but it has improved a lot lately with high compatibility and performance. People still make it sound impossible. I think it's good to remain cautious with this, but it's worth looking at it to see how it turns out, especially for Saturn. Funny coincidence seeing the Metal Warriors graphic featured so prominently in the main image as I've just been playing through it for the first time in recent days. @Damo The biggest question I have (and I created an account to ask it) is whether or not we can burn CD-R's to play the CD-based games. It's so unrealistic to even attain some of these games from NEO-GEO CD, Saturn, PlayStation, TurboGrafx-CD, and SEGA CD. Of course, I know just by reading the response in this Q&A regarding flash carts, he's not going to outright advocate downloading images and burning them to upload to the console, but frankly, I don't see myself buying this if I can't. But on the other hand, if I can purchase the CD-based games legitimately from the storefront from enough major developers, then I still would. I see this as being the most pivotal issue. Regarding the cartridge games, I don't need the flash cart because I can get my hands on enough of the games physically to make it work. Your thoughts? For $200 you can get an Nvidia Shield TV that emulates everything this does plus Gamecube, PSP and more. On top of that it does 4k streaming and a load of other stuff. Without the FPGA I have to wonder, what am I paying for? The Polymega just does regular emulation. The base unit and one module costs more than $300. Don't get me wrong, I think the Polymega is very cool, but at this price no FPGA is a bit ridiculous. It really is sketchy how they just dropped it at the last minute when preorders went up. While I do think referring to C as a "low-level" language is somewhat misleading, interpreted languages like Java, Python, and Ruby are becoming more prevalent. Since those are considered "high-level" languages, I can understand why someone would refer to a compiled language like C as "low level." Regarding writing a program in multiple languages, Visual Studio will absolutely allow you to do this. You can write a C++ program that also includes C and Assembly code. As for why people still use C, I don't know enough about the differences to give you a definitive answer. I can tell you why I use it though. C++ is strongly typed and will not allow you to dynamically allocate memory and assign the address to a void pointer. You can get around this by making use of C's malloc function. I find File I/O in C to be simple and elegant. You've got one data type and several functions you can use to read and write data. File I/O in C++ is needlessly complicated. You've got multiple data types and functions specific to each. @KainXavier the example of VS isn't exactly correct. A c++ compiler is a C compiler and an assembler. They're not really different languages. In terms of allocating memory you can do that in c++. Create a vector<byte>, set capacity to how much you want and you have an empty block of memory. Generally malloc is a bad idea because it's unsafe, it's highly at risk for memory leaks, requires a lot more micromanagment, and is at risk for hacks. On the other hand a smart pointer to a vector accomplishes the same thing but isn't ever going to leak, requires no micromanagement, and is protected from overflow hacks. Regardless they're the same language. A c++ compiler is a C compiler. You can't for exmple invoke a c++ compiler on a block of c# code, even if it's written to look like c++. Likewise you can't compile java into a ruby script. I'll concede that C and C++ are too similar to be considered different languages but I take issue with referring to Assembly as such. That's like saying Python is no different than C just because it was built with it. I agree that malloc is generally a bad idea. The reason why I use it is to read in a large chunk of data all at once rather than read it in byte-by-byte and then push copies to a vector. I also can't cast an address to a vector of uint8_t's to whatever data type I need it to be. I could use C++'s new operator but that would require me to define a type and the chunk of data I'm reading in may be composed of several. Void pointers just make sense here and that means using malloc which means using C.
Lastly, I am out of my depth here but I know both Java and Python have some kind of foreign function interface which allows you to call subroutines written in other languages. I know you can also extend the Python language using C / C++. I imagine it wouldn't be too hard to write a program in Java or Python that uses a library written in something completely different. In Polymega's case, I'm guessing they just wrote some kind of wrapper in C though. @KainXavier Assembly isn't C of course but it's what C and pretty much any language gets compiled to. A compiler is actually a compiler, linker, and assembler all in one we just refer to them as compilers. When written code is turned into an executable program it's first translated to assembly, then the assembly is transformed into binary and all the objects are linked into a final program. In the case of C it just has a compiler flag that tells it if code is already assembly so it doesn't need to first convert it. In the case of foreign code that's essentially just a scripting engine. It allows you to load and run scripts at run time for some more dynamic code action. It's not technically wrong to say code is written in multiple languages it's just something you never really see a programmer say. And as a final word you should really look into the c++11 and 17 standards. Smart pointers are a life saver, I've debugged memory leaks before and OMG is it painful in a large program. Likewise you have dynamic type detection, the algorithm library, iterators, the "auto" declaration, and the functions for static_cast<type> and dynamic_cast<type>. It offers incredible power without sacrificing execution speed. I wish we could PM each other. I'm really enjoying our conversation even though it's completely off-topic at this point. I didn't realize static_cast and the like were relatively new to C++. I already make use of them. I don't like the code bloat but I like the syntax and the vagueness of C-style casts less. When you refer to dynamic type detection, are you talking about the is_pointer template class and what not? Those do seem pretty handy. Visual Studio 2010 doesn't fully support them. I'd use a newer compiler but I've got a few projects I'm still working that are already set up for VS2010. Regarding the algorithm library, I know it's powerful but I hate the design of it. I understand why it was built that way but it feels like such a C-style solution to a C++ problem. I shouldn't have to include a separate library to perform simple tasks on the objects inside of a vector. That functionality should have been built into the vector class. You've probably picked up on this but I don't really like C++'s template syntax. It makes code longer, and I find it hard to read. That said, it's not nearly as offensive to me as pre-processor macros. I understand why people use both but that doesn't mean I like it. @KainXavier I stopped using VS for C++ long ago. I found it too cumbersome and to this day I can’t figure out how to include an external library. I mostly do game engine programming with c++. I use a Linux bash environment. I have to keep windows installed so I mostly do it through cygwin. I use vim for the coding and have a bunch of scrips I behold to create classes and include the in the make file and all that. That way if a new version comes out all I have to do it update one statement in the make file and update g++. MS products just have way too much bloat. VS is about 4GB installed. Vim, g++, make and all my scrips comprise a few MB and I have all the code highlighting, checking and such I need. I don’t use and pre-processor macros stuff in includes to not repeat them. I leave that up to stuff I define in the code. Love functors for function pointers. For me once I got used to the syntax of c++ it became easy to write and you get so much more power and much more error proof code. I’ve only scratched the surface of meta-programming but I know how powerful that is too. That’s why I love it so much, lots of speed, lots of safety, little overhead, and a genius compiler that can really optimize a lot of code so I don’t have to fuss over it as much. It's either Sega or Capcom. I'm betting Sega. @invaderyoyo for 300 bucks you’re getting a nice looking box and interface and really that’s about it.